Another month has vanished and we are at that time again when we talk about monthly favourites! 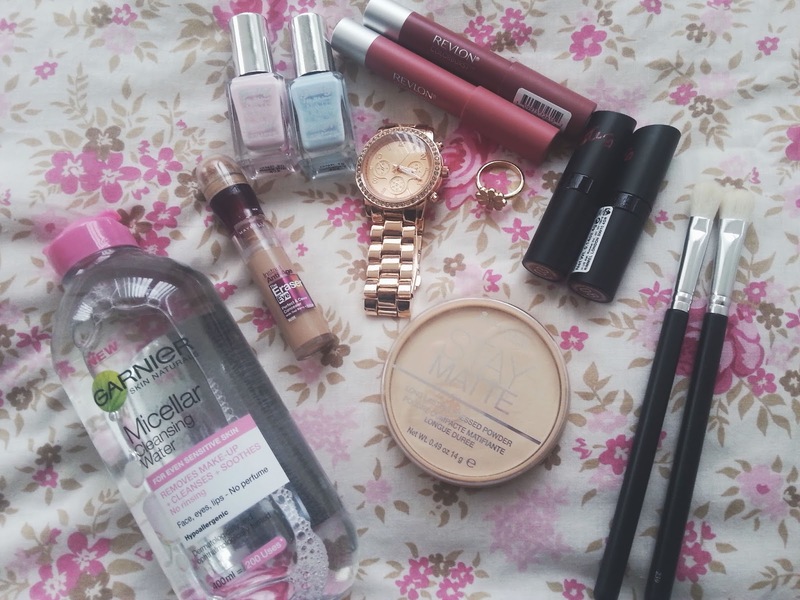 This month I have been loving mainly beauty products. - BarryM Gelly Spring Colours|| These have made a few appearances on my blog this month and I doubt it will be the last time you see them. The formula of these polishes are incredible with out a doubt, and so there really isn't much to say. Apart from the fact that these colours are perfect for any skin tone, they are so long lasting and great if you're going away and want something to last. - Revlon Matte Balms|| Ooh la la. These matte formula's from Revlon are amazing, they are super pigmented, last nearly all day on your lips and are surprisingly moisturising even though they are matte. The two shades I own and have been loving are Sultry and Elusive! - Kate Moss Lipsticks|| Two new additions to my collection this month, and I love them. I have heard so many people rave about the formula of Rimmel lipsticks, especially the Kate Moss ones and I just had to try them myself. Let me tell you, they are great! And smell amazing too. - MAC Dupe Brushes|| I did a full post on these here. These are amazing to do different eye looks with and the possibilities of using them are endless! Also great for travelling as you don't have to take millions of different eye brushes with you! If real MAC brushes are just as good as these beauties then no wonder everyone loves them. - Rimmel Powder|| Yes, that is right I fell for another hyped up product and this time I fell in love with it. This is the exact powder that I have been looking for and searching for. The reason I never tried it is because I didn't think it would be as good as it seems, but it is and lasts all day without making my skin look oily. - Garnier Micellar Water|| A new skincare staple. I love this because it does exactly what it says on the bottle unlike the L'oreal one. It cleans my makeup off straight away without the need to go back again with another cotton pad. - Maybelline Under eye concealer|| Something I never used to often wear is concealer under my eyes, and since having this I look back on days that I didn't really upset. This tube of magic covers all the darkness and shadow that I have under my eyes and is great to quickly do in the morning. -MK Watch|| Of course this had to be included! I love this watch to death and now wear it every single day without fail, my arm feels odd when I don't wear it because it is something that I love. Primark Ring|| This uber cute flower ring was featured in my last OOTD post and I love how simple yet pretty it is. The colour is wonderful for the spring time and goes with the watch as a pair. Then on to food, which I fall in love with all the time and if you read my 'This Week I...' posts then you will now that over the pas month I have loved a lot of food! 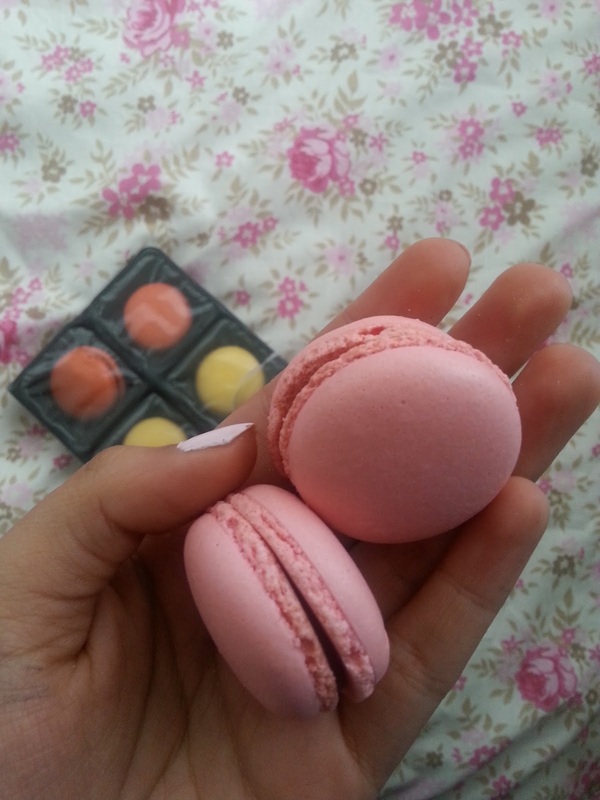 My mum found some macaroons when she went food shopping and I literally screamed and jumped on her when she bought them home. I tried them last year at an afternoon tea and ever since have been searching everywhere to find them because they can be rather expensive. If you know of anywhere to buy them at a reasonable price then please let me know!